Recently, it’s been reported that U.S. “Millennials” are not making the mark when it comes to technology proficiency and problem solving when compared to counterparts in other countries (19th out of 21). Say what you will about the assessment and measure of this, but I do think it gives us a chance to reflect on ideas for integrating problem solving strategies into the everyday classroom. Last year, I wrote this post on 21 Things Every 21st-Century Teacher should do and it became an instant hit (with the help of Sean Junkin’s Infographic). As tech tools come and go, I felt the need to update and refresh it for this school year. However, I ran into a problem. When I got done with my updated list (removing a couple of ideas, adding several more) I was up to 36 different ideas. As luck would have it there are 36 weeks in a standard school calendar so this actually works out wonderfully. While these aren’t necessarily listed in the order you should do them, they are listed from least difficult (#1 – Selfies) to the most difficult (#36 – Creating an in-class incubator). The last few challenges are especially geared toward real-world problem solving and will hopefully make a dent in those “Tech Problem-solving” stats in the future. You know all those “getting to know you” activities that you start at the beginning of the year? Why not integrate selfies into those? You know kids (especially teens) have hundreds of these on their phones and it could be a creative way to tell the “their story” through selfies. Just like a blog only smaller. Nominate a “guest tweeter” and have them summarize the day’s learning in 140 characters or less. Then ask parents to follow the account so they can also get a little insight into the happenings of the school day. Tell your students and their parents about the hashtag and have them post ideas, photos, and questions to it. It’s a great way to get people from not only in your class but also around the world to contribute to your class conversation. You can also use this with your blog posts (#1) or classroom tweets (#2). Bonus points if you use something like VisibleTweets to display your posts in your class. 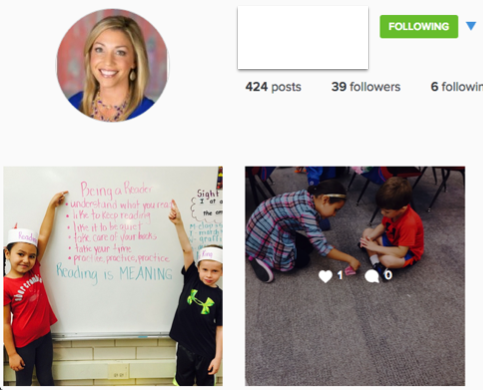 My daughter’s 1st grade teacher has a class Instagram! Spinning off of the twitter account you already created, why not have a photo-based summary of the learning in class as well? 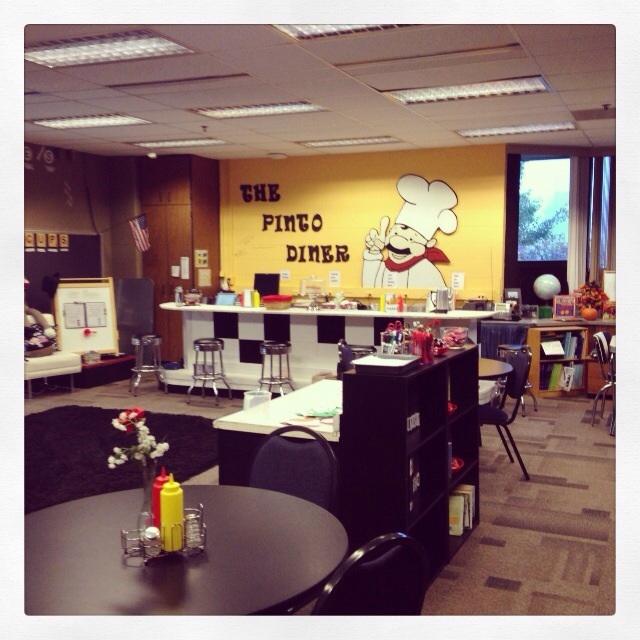 Have a daily student photographer who’s job is to post an example of something your class/students did that day. If you don’t want to mess with “do not publish” lists, you could ask that it be of an object or artifact, not a person. This would also be a good time to have a mini-digital citizenship lesson and talk about when and how to ask permission to take someone’s photo. Let’s face it, classroom rules are in need of a makeover. Do you still have that blown-up Word Doc with your 1995 clipart on it? Why not make your classroom rules into a graphic novel? Here’s just one example of classroom rules done up comic-style! BAM! BOP! BLAZAMO! I wrote a few weeks ago about this newest social media trend called “digital broadcasting”. While that post went over some best practices for Periscope and Meerkat, I’ve since been exposed to a multitude of ideas from other ‘scopers. One idea is to capture a “minute in the life” video to post weekly. Whether this be a minute in the life of a 3rd grader or a Pre-Cal student, it opens up a window to parents and other educators to see what is happening in your class. I have a much longer post on this coming soon…but since we are early in the list, I’m keeping it simple. I think meme’s are inherently evil. Some are so clever I almost get jealous, while others leave a lot to the imagination. 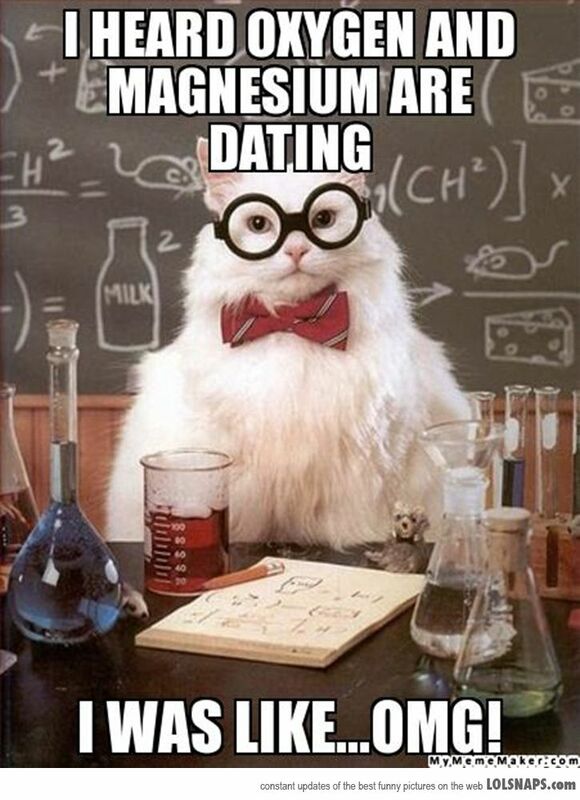 With apps like Meme-Generator or an app like Skitch, you could have students make historical memes, favorite literary characters or even cats that like chemistry. Kids (and adults) can really only sit and “work” for so long. The average adult can sit for about 20 minutes before their mind begins to wander. For kids, the younger they are the less than can sit still (just come watch me and my family at a restaurant for proof). Brain breaks should be a part of every class and every grade level. From Improv games to yoga to GoNoodle, make brain breaks a part of your classroom and watch their brains re-ignite! I’ve been a big fan of sketchnoting before it was called that. Back in my day (now I sound like an old man) we called it doodling. However, the more I do it (either digitally or on an old school notebook) the more I realize that I actually remember what was said. Why not try this in a class? During a lecture or watching a short film, have students represent the talk in a sketchnote. Check out this massive sketchnote of my co-Keynote with Todd Nesloney at iPadpaloozaSouthTX. 10. Create a List.ly list to encourage democracy in your class. It could be as simple as a list of choices for a project or something as grand as what is one thing you want to learn about this year? Whatever the choice, use List.ly to create a crowd-sourced voting list and let your students have some say in their learning! Let’s just hope they aren’t old enough to vote for Kanye in 2020. Having introduced reflection with Sketchnoting (#9) you are now ready to have kids practice the art of not only reflection with words, but published words. Using sites like EduBlogs and Kidblog (no longer free) you can have your students reflect on their week of learning in a student blog. Crowd-source the topics for their writing from other classmates for those that are struggling with an idea. I’ve got a giant box full of art projects and my oldest is barely entering 1st grade. I can only imagine the size of the extra wing I’ll need to add to my house when all 3 of them are through school. While I love all their art, I would appreciate it even more if it was also digitized. Using a platform like Blub, have your students capture their best work and reflect on the process. For more advanced users, organize each into different categories, styles, or themes. Besides the student example here, check out Lisa Johnson’s (TechChef4U) multiple Bulb sites for staff and student iPad instructions. This sounds a lot scarier than it is but essentially think of playing the game 20 questions with another classroom somewhere in the world. Here’s a link to a community page with more resources. It’s a great way to increase cultural and global awareness and you could event invite the other class to add to your Pinterest board (#10), vote on your List.ly (#8), comment on your blog (#1) or maybe co-collaborate on an eBook (#17). It’s time to break the stereotypes of sports. What better way to do that than through fantasy sports and math? Have students “draft” a team in a particular sport and then track their stats manually to see who wins. For a more advanced challenge, create a “mega” league with multiple sports over the course of the year. Watch for heated trades taking place on the playground and Monday discussions livening up when football season starts! With a ton of stop-motion apps and the new Slo-mo feature built into iOS, there are a ton of creative ways to watch a science experiment unfold. From the slow growth of a plant over a semester to the infamous erupting volcano experiment in super slo-mo, science really is part visual arts. Tired of sending home that same boring newsletter that nobody reads? Why not jazz it up with an infographic. Using a tool like Canva or even keynote (what I used to make mine for this post), you can create a visually pleasing and impactful message to your community. Just be sure to include links to your class Twitter(#2), Instagram (#4) and Periscope (#6) accounts! In this new digital age, parents are always looking for some help when it comes to ways to help their kids manage it all and be successful for school. Rather than just send them tips here or there, why not have a Pinterest board for parents? Here’s one we did called “86-days of summer learning” for parents looking for learning ideas in the summer. Budget cuts mean no more field trip to the local zoo? Why not take a virtual one? Have you class research specific locations in our world (and even specific times in history) and then visit them via green screen technology. Students can discuss what they might see during their trip and reflect on challenges and discoveries they made (virtually of course). Busy parents mean no time to read a weekly newsletter or that note in the take home folder. One thing many parents due is subscribe to podcasts (remember the Serial craze last fall?!) so why not put your class highlights in their weekly feed? Have your students write and create segments for the weekly show and publish it to iTunes to make some instant memories and to let mom and dad listen to your week while working out. The Instructables DIY craze is a powerful one. From figuring out how to make your own bubble-machine to how to use chop sticks, these how-to guides for life hacks are quite handy. Since student’s learn best by teaching, why not flip the script and use a site like Bulb or Snapguide to have students make their own Instructable over the topic or subject area of their choice? I first heard about this from Sandy Kleinman this past summer, but the concept is simple. Tell students on the first week of school that they will be collecting a portfolio of work and present what they have learned to their parents during parent-teacher conferences. This is a great way of having kids (even as young as kindergarten) own their learning (#22). This could be daunting if not planned well, but with built in reflection activities (#9, #11, #12) there are multiple ways to gather discoveries to share with mom and dad. Textbooks are a way of life in education and though many are now digital, there are still tons of old adoptions laying around in classroom cabinets or school storage closets. Why not utilize these books to add a little Augmented reality to the classroom? Using an app like Aurasma or Daqri, create a special video message and “attach” it a picture in the textbook. So when the entire class turns to page 26 and holds their device over the image…they’ll get quite the surprise! Depending on your grade level, this might be harder than you think. Even in a 1:1 district we still print or have need to print things from time to time. The idea behind this challenge is see if you can figure out ways to make things more digital. Maybe instead of a newsletter you print and send home, you write a blog (#11) or send an infographic (#16). Or instead of asking kids to write and peer-edit each other’s papers, you ask them to share a Google doc? If your students don’t have devices, then challenge yourself to try this personally for a month. With Google’s release of “Expeditions” last May, students can now take a mobile phone or iPod and use Google Cardboard to take a virtual field trip anywhere around the world! This does take some prep, which is why it’s further down on the list, but the reactions of students experiencing the Great Wall of China is amazing! The ease with which you can publish books now is amazing. Using a tool like Book Creator or iBooks Author, you can publish to the iBooks store or Amazon. Don’t want to do something that intense? Keep it simple and make a book using Shutterfly and then have it printed as a keepsake. While the APPmazing Race got it’s humble beginnings from iPadpalooza 2014, it has since grown into a global phenomenon as a new strategy for delivering PD. Though built originally for adults, it’s perfect for students with mobile devices. Set up a series of challenges over a class period or a couple of weeks and have the kids team up and go to work! While the race itself doesn’t take a lot of work (except for reigning the kids back in), the prep before hand and the scoring afterwards will take quite a bit of time. Be sure to have a rubric to help students understand how they score on particular challenges and I would advise on using a tool like Padlet.com to curate all their finished discoveries. Here’s an example of one of the biggest races I’ve hosted using Thinglink and Padlet to curate. The ultimate form of flattery is imitation. The ultimate form of stardom is when Weird Al makes a parody of your song. Why not take that to another level and have students re-write lyrics to their favorite hit or a popular tune? The catch is they have to tie the lyrics into something historical like the video below. Who knows, maybe some student will remake “Chaka Khan” into “Genghis Khan”. How great would it be to have teams of students design a Rube Goldberg machine? I once saw former 4th grade teacher Cody Spraberry facilitate a 2-week project where each group had a defined space in the classroom (marked by tape) and had to design, create, and test their Rube as well as record it. Not all the reactions were as priceless as this kid’s, but tying in reflection (#11), how-to instructions (#21) and some video effects (#15) can really make this a powerful lesson in teamwork, perseverance, problem-solving and organization. Teaching our students about generosity while giving them a wider perspective of world events can be powerful. 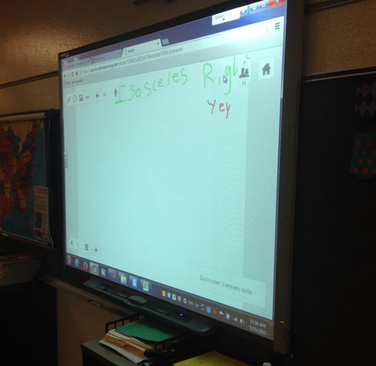 Now with tools like GoFundMe, your class can strategize a way to help support a cause like this one for creating a School for the Deaf in Haiti. This is real, authentic, impactful learning that will make a difference in the lives of your students and those you are helping. To really tackle all of those “future-ready” skills, why not have teams of students create their own actual start-up company. Some high schools across the country have started this program (including our own Westlake High School) but it doesn’t have to be exclusive to high school. The key is to get business and industry leaders to work with the kids and talk about real world scenarios their companies will face. Kind of like “career day” on steroids. If you can get some local business or parents to participate with some funds, you can actually host a “Pitch night” to start the event and a “Shark tank” type activity to close it where students will get actual money to try and create their product. This is the most intensive of all the ideas on this list and can utilize parts of all the other 35 topics to make a team successful. While I don’t expect any one classroom to do all of these ideas (I’d have to give them a prize if they did), I do think many of these are doable and possible on the cheap. I tried to design most of them without dependance on a particular type of technology, but having access to devices, even if not in a 1:1 environment, is helpful.